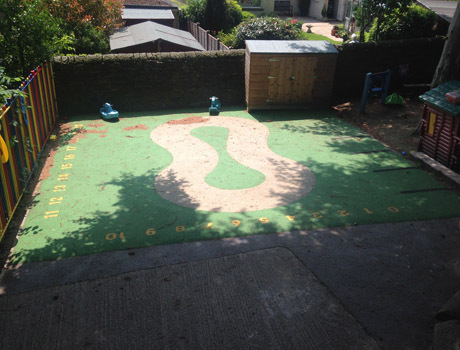 Harden Pre School had a sloping tarmac and concrete area that was being used for bikes and small games but was in a tired condition. 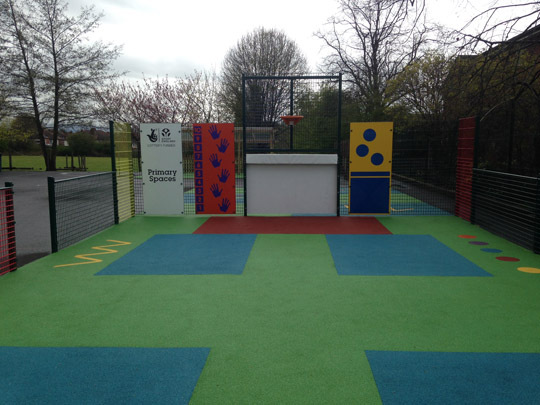 Pennine Playgrounds worked closely with the Pre School to design a new play space to incorporate a roadway, parking bays, numeracy and a storage shed. 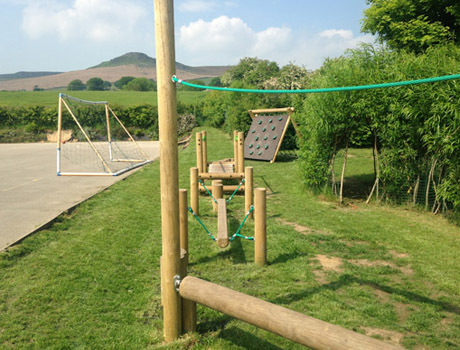 Lowerhouse Junior School contacted Pennine Playgrounds to look at the area around a stage where the grass had deteriorated and was creating problems with footwear. 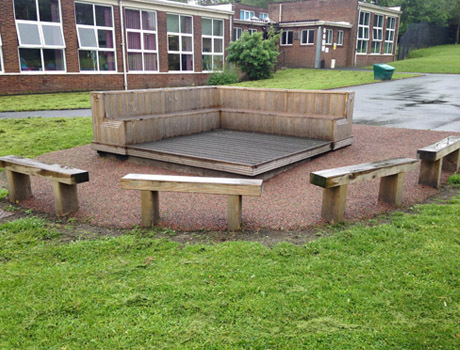 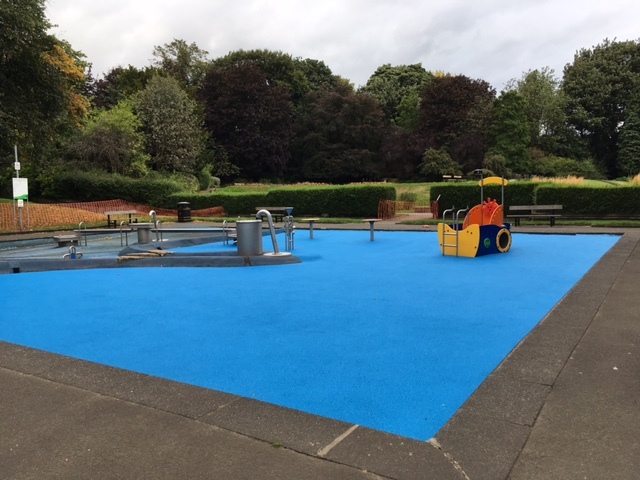 We installed a four colour surfacing mulch blend to provide a clean, bright area that provided the children with a user friendly environment.